‘I think the great thing about working with the boys in Cherbourg was the fact that they didn’t hesitate to try anything with Laura and myself. 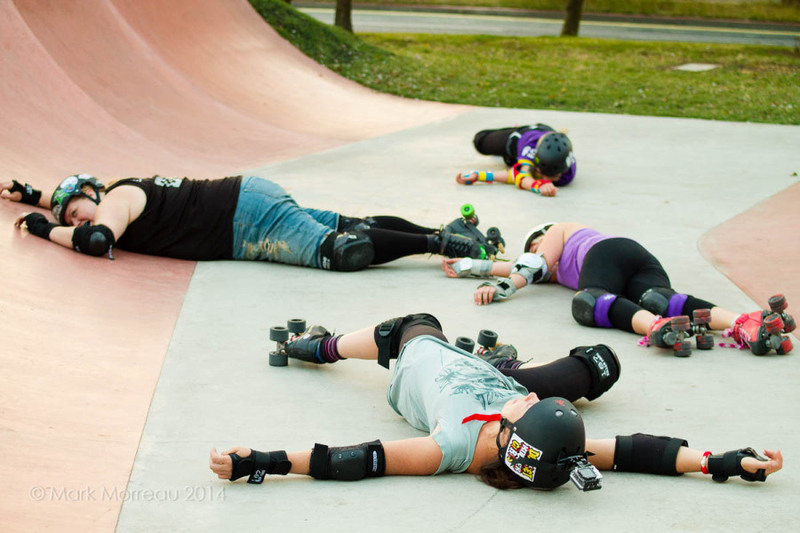 They didn’t seem distracted by our physicality which was a breath of fresh air. 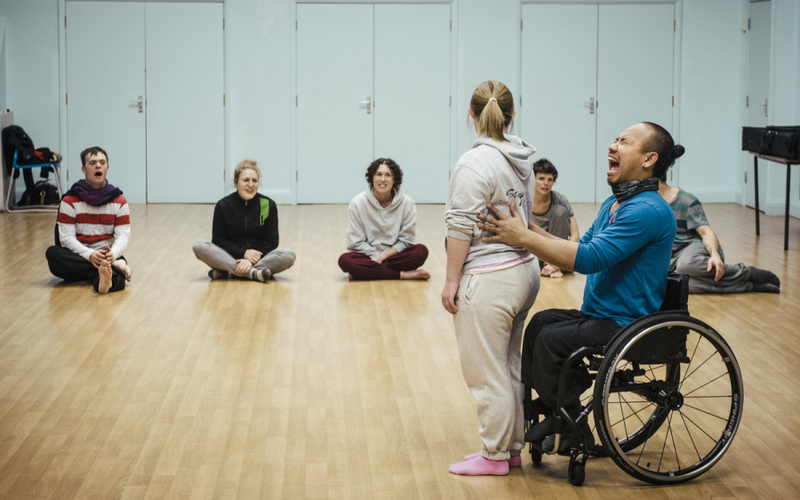 It was interesting personally for me too, that I would be happy to try anything with them due to their skill with lifts.’ Dave Toole, dance artist, Stopgap. ‘I liked how they [Prêt-à-Porter] explained what to do and took it step-by-step and demonstrated. That’s how you become a dancer too by learning from others and this is something that I can do in 2015. I also liked doing the falling backwards from being up high. I fell from two stacked tables and then I took it to another level and it was incredibly fun and exciting.’ Chris Pavia, dance artist, Stopgap. 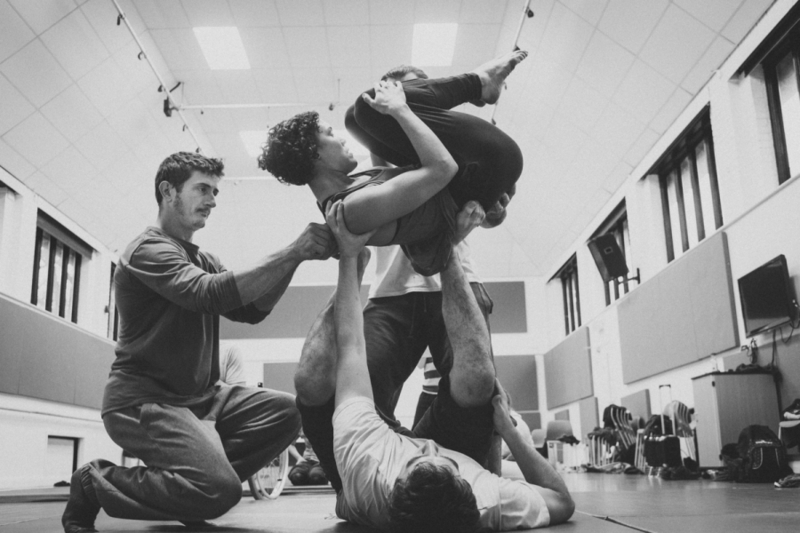 PASS is a European project that groups eight British and French organisations to work together on circus arts with the common goals of production, touring and training. Crying Out Loud are the creative directors for Farnham Maltings, one the British partners. Residencies are a fundamental part of the British partners’ work and their aims are to promote fluid cultural exchange, provide training, give greater visibility to those involved, and to provide a dynamic new experience and greater mobility for artists. In August 2013, Little Bulb Theatre and Camille Boitel’s company L’immédiat worked together at Farnham Maltings to develop the musical and performance element of Boitel’s Calamity Cabaret. L’immédiat also provided creative development during the early stages of a new work in progress by Little Bulb. The exchanges focused on skills and creative development. Little Bulb subsequently went on to perform with L’immédiat touring in France. 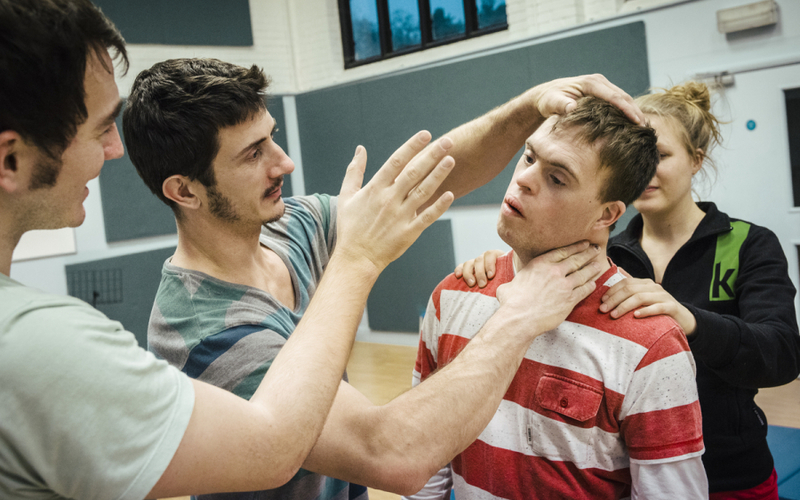 Stopgap Dance Company integrates dancers with and without disabilities. Their work is motivated by finding new and exciting possibilities that arise from the dialogue between distinctive dancers. Across two residencies in 2014 Stopgap worked with acrobats from Company XY, Collectif Prêt-à-Porter and Les Magnificos to investigate and create a new movement language and to look at how acrobatic movement can be adapted to the differing bodies of the Stopgap dancers. 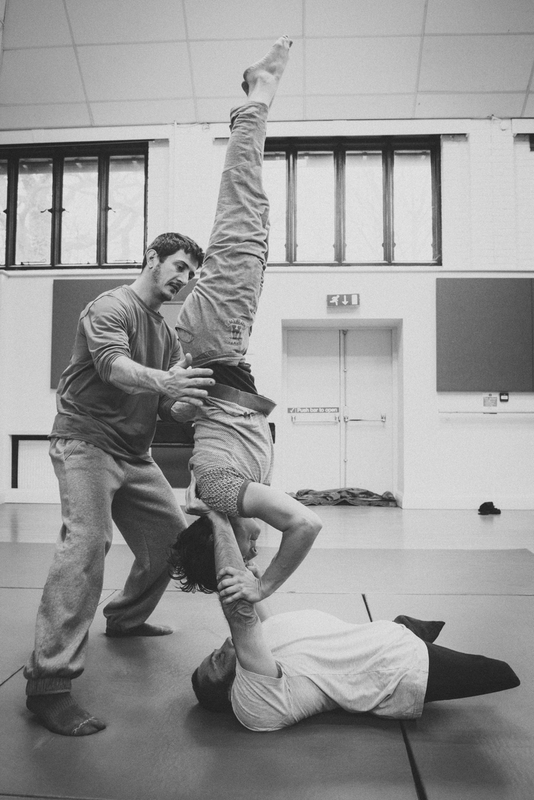 In January 2014, the workshop at La brèche, Cherbourg focused on developing the ‘wrestling scene’ in Artificial Things; in December 2014, the residency in Farnham focused on Stopgap’s work in progress, The Enormous Room. During the week long exchange, Collectif Prêt-a-Porter acrobats worked particularly to develop the Stopgap dancers’ hand to hand skills. 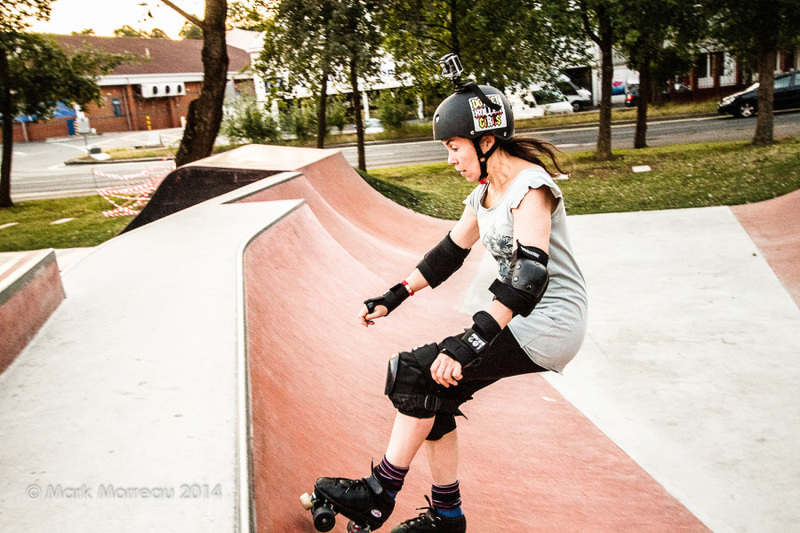 In August 2014, Niki McCretton, a physical theatre artist, aerialist and unicyclist now exploring Roller Derby worked with French Canadian contortionist and aerialist Angela Laurier – a director in residence at La brèche. 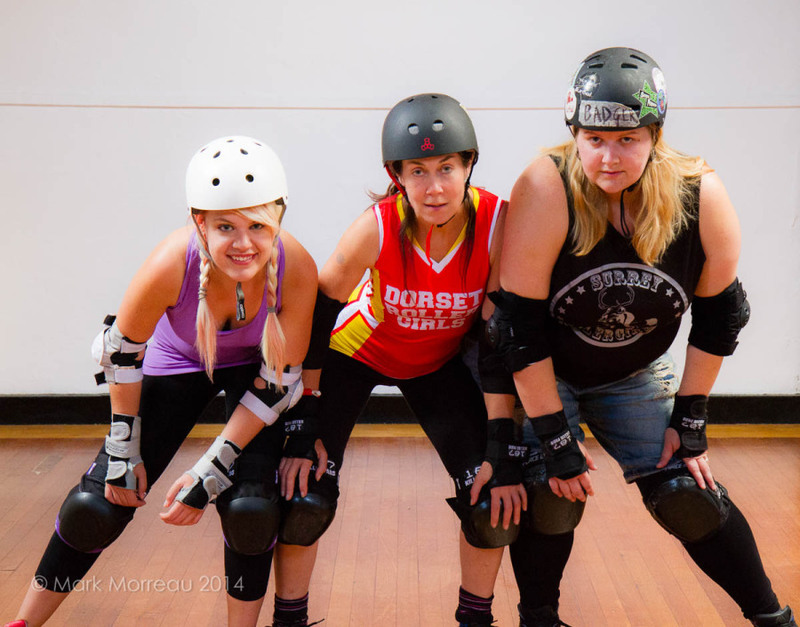 Resident for two weeks at Farnham Maltings Niki developed Dirty Ballerina, a new piece using Roller Derby and physical comedy. Angela worked with Niki to develop her voice as a performer, and as an individual in recovery from post-traumatic stress disorder.